Rick Hilton and Jeff Hyland formed Hilton & Hyland in 1993, and quickly grew it into a significant presence in the Los Angeles real estate market. Hilton, a scion of the Hilton Hotel family, is an erudite and skillful professional with longstanding ties to the industry as well as the city’s high society. Hyland has fostered a reputation not only as an accomplished and lauded real estate broker, but also as an architectural historian whose books on luxury estates in Los Angeles are essential reading. Together, and with a team of handpicked associates, the firm delivers a caliber of insight, skill, and professionalism that is unmatched. Features some of the most expensive properties in the area, with average listing prices hovering in the $13 million to $14 million range. As of the last quarter of 2017, the median sales price is up a remarkable 11% compared to the same period in 2014, at $2.5 million. A prosperous community, where the median income is $242,664. 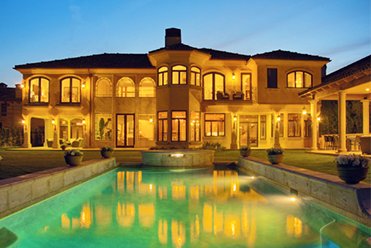 Enlisting the support of a Bel Air real estate agency such as Hilton & Hyland provides access to countless advantages. Along with up-to-date knowledge of the market, the firm has established connections that can open doors, help propel negotiations to a favorable outcome, and ultimately produce lucrative deals. And with a robust history of high-profile transactions under its belt, Hilton & Hyland is equipped to manage any type of investment, surpass even the most ambitious expectations, and deliver the level of results that befit luxury real estate. 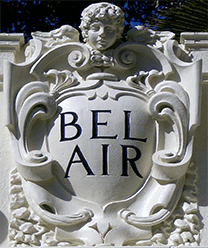 For more information regarding Bel Air real estate, read the firm’s Bel Air Real Estate Blog or connect with a representative at Hilton & Hyland today.